Major chains have been lined up to occupy the Abbey Wood Retail Park in Filton, with the first set to begin trading as early as September. Along with Asda, which will take the site of the former Big W store, restaurants Frankie & Benny’s and Nando’s, coffee shop Costa and variety retailer B&M had signed up for units, as we went to press. A lease for the former JJB store, next to Pets At Home, has also been agreed, leaving just two new units unoccupied. Current occupiers on the scheme are Matalan, Pets at Home, Brantano, Next Clearance and McDonald’s. Leasing agents DTZ told Filtonvoice it was expected the first new units will be open by September with the others following through the Autumn. In recent weeks, there has been considerable work on the site with large building frames emerging. The retail park, which has extensive parking, sits next to the Abbeywood MoD site and will be close to new housing developments and the new Bristol Rovers stadium. 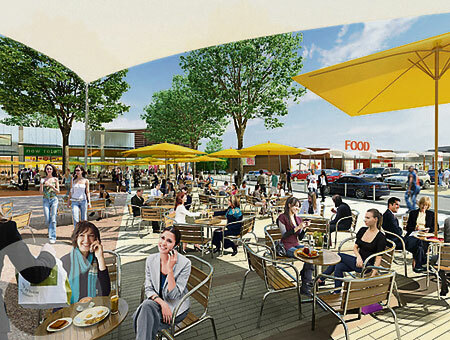 A spokesperson said : "Abbey Wood will serve a vibrant mix of residents, commuters, business workers, students, and, in due course, sports fans.